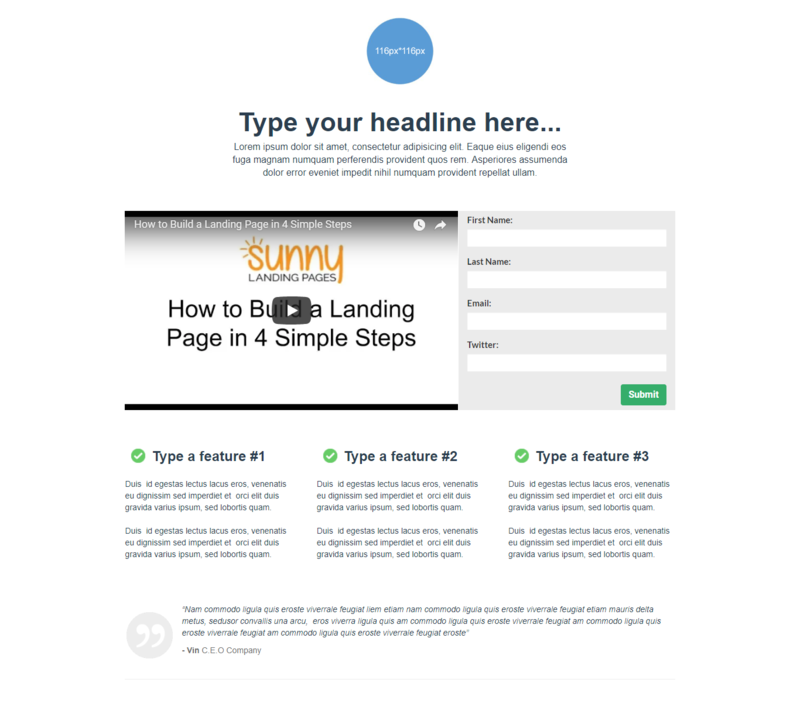 This is template number 5 of 5 for this series of Minimalist Landing Page Templates. Take the minimalist approach with the use of an explainer video. Nothing works as good as a video to convince a potential lead/ sale to sign up on your form. The Mini series offers a basic and elegant layout to suit a minimalist aesthetic for a lead generation landing page.